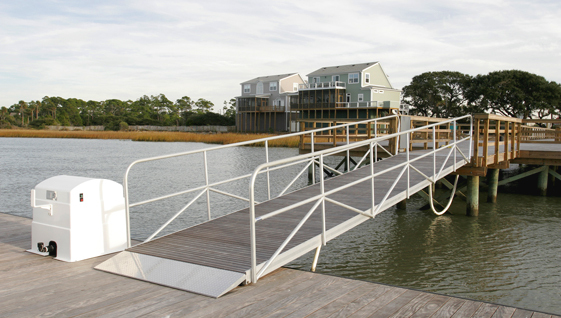 Ramps – Carolina Waterworks, Inc.
Our ramps feature rugged construction and finely sculpted design. We offer a wide range of decking, and custom sizes are available. Ramps come complete and ready to install with rollers and a polymer coated hinge pin. Ramps are available in multiple widths and lengths with various surface options. Available in multiple widths and lengths.